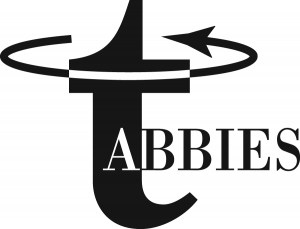 The 2016 Tabbies B2B awards program is now open and accepting submissions. The program allows allB2B editors, publishers and art directors the opportunity to have their best work judged by their international peers. The Tabbies, the editorial and design awards program run by Trade, Association and Business Publications International (TABPI), is again partnering with the U.S.’s American Society of Business Publication Editors (ASBPE), New Zealand’s Magazine Publishers Association (MPA), South Africa’s SAFREA, Australia’s Society of Editors NSW and the Magazine Publishers Association of South Africa (MPASA). Paul J. Heney, TABPI President, explained that after years of requests, the awards program is now accepting submissions electronically for the first time. Heney also said that being honored in a competition like the Tabbies is a great marketing tool for publications to show that they’re keeping their readers first. “Advertisers recognize these marks of excellence, and they’re more apt to want to be associated with quality publishing brands,” he explained. The Tabbies international B2B magazine competition encompasses 18 categories, and is open to English-language business-to-business publications around the world that are published at least three times per year, as well asB2B online-only publications. Unlike some more restrictive programs, publications are not required to maintain membership in any particular organization in order to be considered for the Tabbies. The 2016 Tabbies are also supported by companies that have an interest in working with b2b editors and publishers — as well as supporting editorial and design excellence. Your support of them is most appreciated. The Silver Sponsor for the 2016 Tabbies is Business Strategies Group Asia (www.bsgasia.com). The deadline for entries is March 4, 2016. A late fee applies after that date. Submissions can now be made at the TABPI website, www.tabpi.org. Judges for the competition are culled from suggestions of regional editorial groups across the globe. Winners will be announced on or about July 15th, 2016.